Science of Massage Institute » SOMI BRINGS MEDICAL MASSAGE BACK TO AMERICAN MEDICINE! SOMI BRINGS MEDICAL MASSAGE BACK TO AMERICAN MEDICINE! Massage therapy has a very small exposure in traditional medicine except for Oncology Massage, already successfully practiced in some hospitals. The vast clinical potential of massage therapy is unused and under-presented in the clinical settings of most hospitals and medical offices. 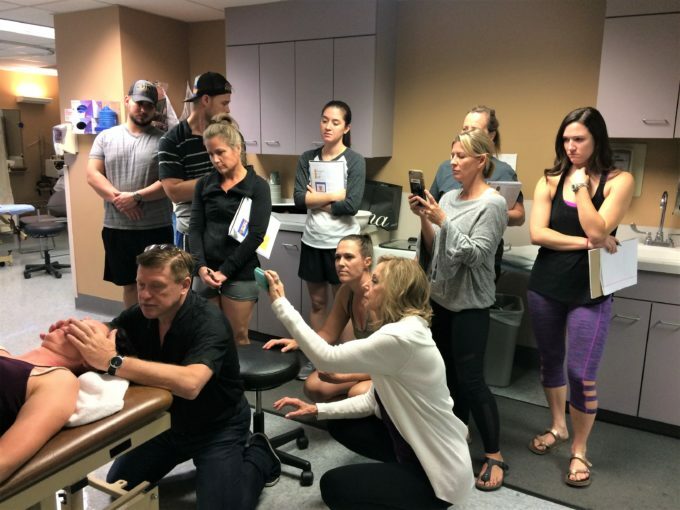 For years The Science of Massage Institute has worked diligently with respected medical institutions trying to educate their physicians in the clinical power of science based Medical Massage and convince them to use it as an effective clinical tool. Recently our efforts were rewarded when Kerry Knievel, DO Department of Neurology at Barrow Neurological Institute in Phoenix, AZ. exhibited a strong interest in SOMI Medical Massage to help their patients with Chronic Headaches. Barrow Neurological Institute is a world leading scientific and clinical hospital, on the cutting edge of modern neurology and neuro surgery. Cooperation between SOMI and Barrow started with a pilot clinical study when 5 Barrow patients with debilitating Chronic Headaches (and also severe opioid addiction) were treated in our clinic. While we used Medical Massage Protocol to control the intensity of the headache, physicians slowly took patients off opioid medications. At the end of withdrawal all patients exhibited complete elimination of headache and returned to their normal lives. 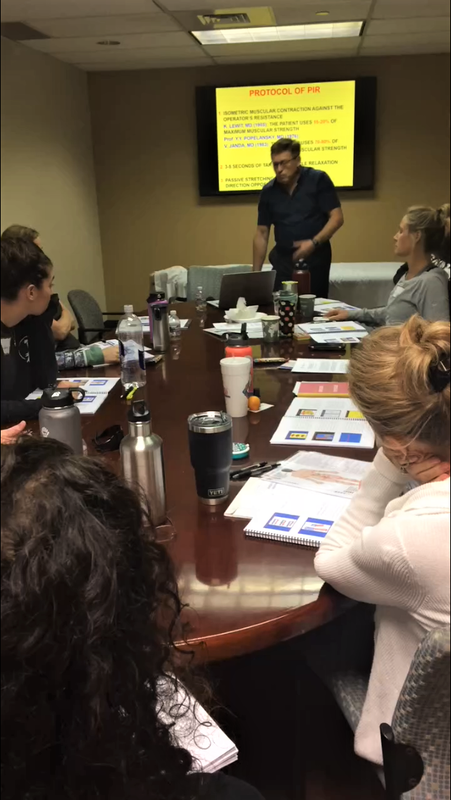 These results got the attention in Barrow Neurological Institute doctors and Dignity Health, St Joseph’s Hospital and Medical Center so Dr. Ross Turchaninov was invited to teach physical therapists from both hospitals the Medical Massage Protocol to control Chronic Headaches. 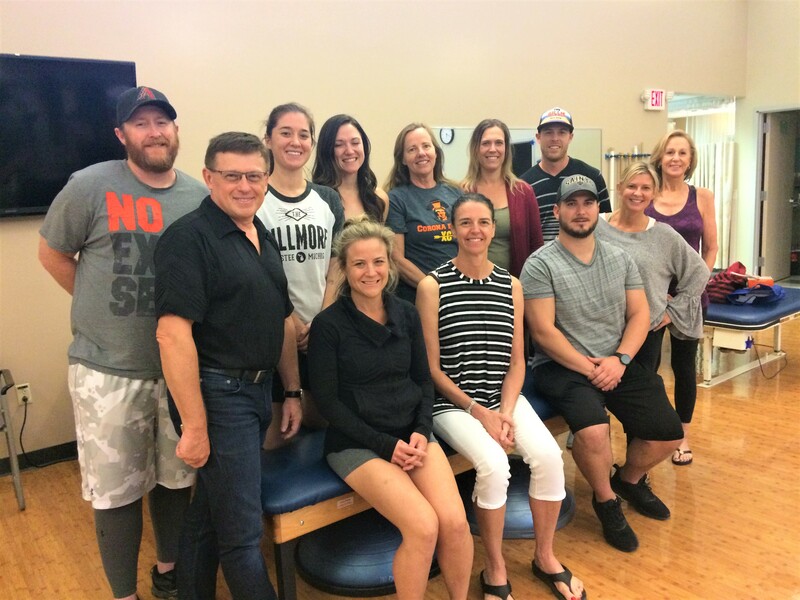 Three weeks ago, SOMI conducted 3 days of training – Understanding the Medical Massage Concept, hands-on training in basic Medical Massage techniques and evaluation of the soft tissues and clinical application of Medical Massage protocol for Chronic Headaches. 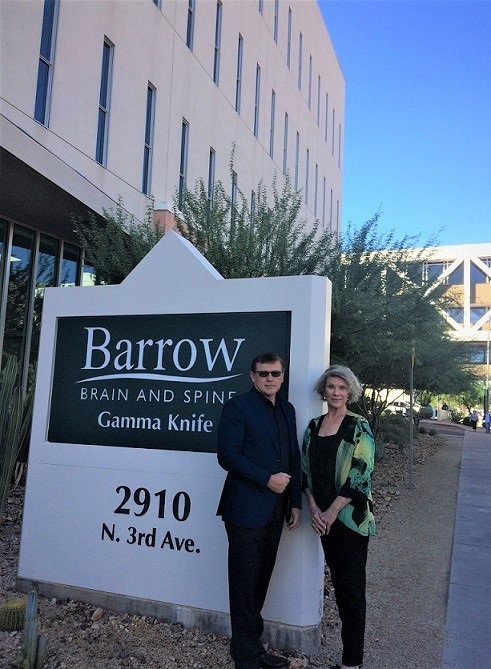 Dr. R. Turchaninov and M. Preuss at the entrance to Barrow Neurological Institute. Some feedbacks from DPTs and PTs from the training class. SOMI is the first Massage Educational institution in America whose clinical protocols are currently being used by a major international scientific medical institution and major clinical hospital as a routine treatment procedure. 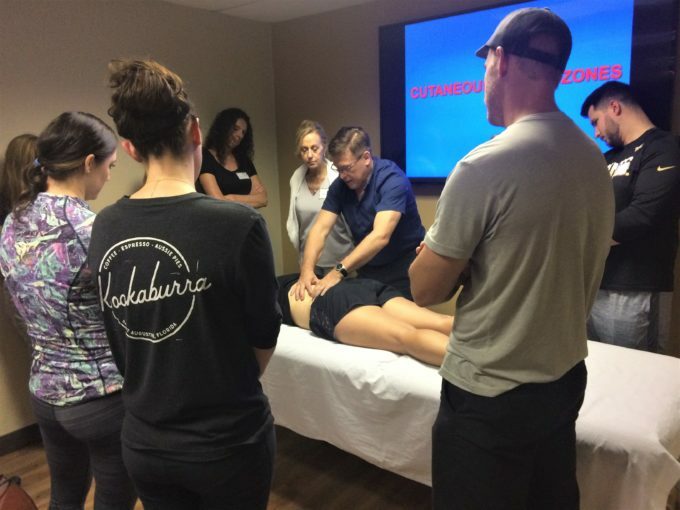 We’re confident it will open a new chapter which will bring us closer to re-integration of Medical Massage therapy back into American Medicine. We suggest to all our CMMPs and current students to use this information about the successful integration of SOMI’s Medical Massage protocols in clinical settings as a tool to build a referral base with local medical communities. Massage Therapy will be a growing part of modern medicine as more and more therapists are able to deliver STABLE AND PREDICTABLE CLINICAL RESULTS!